In 1979, the fatal shooting of a white crabber in a Texas fishing village ignites a maelstrom of hostilities against Vietnamese refugee communities along the Gulf Coast. A young Muslim woman's vacation to New York City devolves into a nightmare. A year after Martin Luther King Jr was assassinated, a group of blues legends came together to celebrate the 150 year anniversary of Memphis, TN. 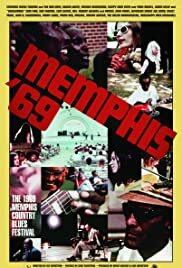 This concert documentary, shot over 3 days in June of 1969, celebrates an American art form that unites us all.